The Olivet Discourse and Matthew 13– Proving a first century fulfillment of Matthew 25! The Olivet Discourse| United or Divided? In previous articles we have demonstrated the unity of the Olivet Discourse, Matthew 24-25. We have shown that Jesus does not discuss two totally disparate events, separated in time by so far 2000 years. He was discussing one topic, one subject: his coming in judgment of the Old Covenant world of Israel, that came in the destruction of the Temple in AD 70. Be sure to watch my YouTube videos on the Parables, in which I discuss how Matthew 25 cannot be divorced from the earlier discussion of the coming fall of Jerusalem . Note: I will return shortly to my discussion of the Dispensational Myth of Replacement Theology. What I want to do in this article is to continue discuss the connection between Matthew 25:31f and Matthew 13, and Jesus’ parable of the Wheat and the Tares. For brevity, let me simply point out the direct parallels between Matthew 13 and Matthew 25:31f. Needless to say, in discussions of the Olivet Discourse, it is almost universally held that Matthew 25:31f is a prediction of the “end of the world” at the personal, literal, bodily coming of Jesus. However, I am convinced that neither Matthew 13, or the Olivet Discourse discuss such an event. The Sending forth of the Angels. The time of the kingdom. The time of the judgment – the separation of the Wheat from the Tares. The Coming with the Angels. The End of the age – (No one questions whether Matthew 25:31 is about the end of the age). The time of gathering – the gathering of all nations. The time of the kingdom– The Son of Man shall sit on the throne of his glory. The time of the judgment – the separation of the Sheep from the Goats, the righteous from the unrighteous. The parallelisms are clear, precise and undeniable. Of course, the great majority of commentators take both Matthew 13 and Matthew 24-25 (with the usual divisions) as predictive of a yet future “end of time” coming. Interestingly, a growing number of commentators are beginning to see Matthew 13 in a totally different light, however. 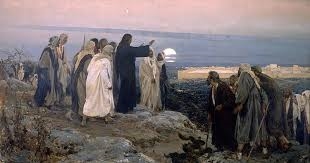 Peter Leithart says that Matthew 13 referred to Christ’s coming at the end of the Old Covenant Age of Israel in AD 70 Peter Leithart– (The Promise of His Coming, (Moscow, Idaho, Canon Press, 2004)95). Joel McDurmon, with whom I had a formal public debate in 2012 says of Matthew 13 and the parable of the Wheat and the Tares: “Describes the then soon coming end of that old age and the destruction of its children, and the beginning of the gathering in of the true children of God’s kingdom. It should not be understood as teaching anything beyond this.”(Jesus v Jerusalem, Powder Springs, Ga, American Vision, 2011,49). This book is available on my websites, and has some excellent material on the parables, that will leave the reader wondering how anyone could teach what McDurmon does, and not be a full preterist! For the moment, take note how Matthew 13 demands a first century fulfillment of the entire Olivet Discourse, including Matthew 25:31f. In Matthew 13:43, Jesus said “then shall the righteous shine forth in the kingdom of their Father.” This referent to “then” means the time of the Coming of the Son of Man, with the angels, the time of the judgment and the separation of the Wheat and Tares. So, the time when those things would take place is the time when the righteous would shine in the kingdom. “And many of those who sleep in the dust of the earth shall awake, Some to everlasting life, Some to shame and everlasting contempt. The prediction of the resurrection, which is patently what Matthew 13 – and Matthew 25:31- is about! The time of the judgment and the separation between the just and unjust is in the text. The Righteous shining in the kingdom- clearly showing that Daniel is the source of Jesus’ parable in Matthew 13. The time of the end of the age. (It is significant that in the LXX of Daniel, a form of the same distinctive term that Jesus used for the end of the age in Matthew 13 is used in Daniel. There is a powerful verbal link between the texts, besides the thematic and motifal connections). So, one angel inquires about when the resurrection (which is the harvest of Matthew 13, and the time of the gathering of Matthew 25:31f) would be. Heaven answered that it would be, “when the power of the holy people has been completely shattered, all these things shall be finished.” This is definitive and irrefutable. The resurrection of Daniel 12 would be when Torah – the power of the holy people – was brought to an end. That was not at the Cross, and, it is not at some point in our future! That was in AD 70. So, with that in mind, let me form my argument. The time of the harvest and the separation of the Wheat from the Tares in Matthew 13 is the same time as the gathering of the nations and the separation of the righteous and the unrighteous of Matthew 25:31f. The time of the harvest and the separation of the Wheat from the Tares in Matthew 13 would be in fulfillment of Daniel 12:2-7 (Matthew 13:43). But, the time of the fulfillment of Daniel 12:2-7 would be (was) in AD 70 with the shattering of the power of the holy people. Therefore, the time of the gathering of the nations and the separation of the righteous and the unrighteous of Matthew 25:31f was in AD 70. Let me follow that with this, as it relates to the unity of the Olivet Discouse. The time of the gathering of the nations and the separation of the righteous and the unrighteous of Matthew 25:31f was in AD 70- (Daniel 12 / Matthew 13- as proven in the previous syllogism). 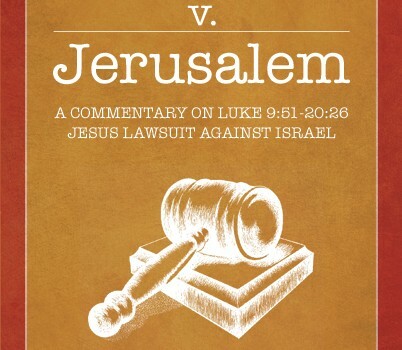 Matthew 24:4-35 is also a discussion of the fall of Jerusalem at the end of the Old Covenant age in AD 70. (This is agreed to by virtually all non-millennial commentators). Therefore, Matthew 25:31, being a discussion of the same time and the same event as in Matthew 24:4-35 (and Matthew 13 and Matthew 25:31f) as proven in the previous syllogism) is a discussion of the fall of Jerusalem at the end of the Old Covenant age in AD 70– proving the unity of the Olivet Discourse. When we honor the motifs, the themes, the perfect parallels and the time statements of these passages, taken together in a holistic comparison, it is undeniably true that the Olivet Discourse (Matthew 24-25) is a discussion of one subject, The End of the Old Covenant age of Israel in AD 70. Next Next post: Replacement Theology| Israel’s Festal Calendar- Shadow or Reality?